“There is only one reliable tool for undermining defense experts,” David Ball tells us in Damages 3. What? There is only one? Really? This is a pretty big deal because, as any trial lawyer will tell you, cross-examination of defense experts can sometimes make or break a personal injury case. Even assuming this is a little bit of hyperbole, if the Dean of Damages thinks there is just one thing, it is worth making sure – at a minimum – you know what that one thing is. So take a second. What do you think David Ball says is the only reliable tool to use when you cross-examine experts? Ball says the only surefire weapon in a plaintiffs’ lawyers’ arsenal is demonstrating to the jury how the expert violated or ignored certain required steps in reaching their opinions. This is a two step process: (1) how the expert failed to do his job, and (2) how that failure caused an unreliable opinion. Use similar hypothetical “is it possible?” fact scenarios to underscore plaintiffs’ damages if her version of the story is accurate. You can’t get the expert to admit that your client has the problem but you may be able to get an admission as the potential scope of the problem for other patients the doctor has treated that have similar complaints. If you have a good client – and you should not be going to trial without one, really – do not try to exclude evidence that the plaintiff is a liar or malinger. Let the doctor try to offer science to support someone is faking or exaggerating (there really is no way). 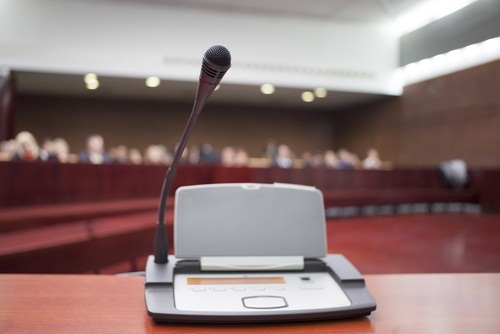 Control the witness on cross-examination but don’t act like you are doing it. Jurors find that incredibly annoying. It is pretty obvious. It does not take David Ball to explain this to us. But some lawyers became lawyers to have the special moment of control, particularly with the doctor that their mother wanted them to be. So they can’t help themselves. Why personal injury lawyers’ abstract, on-specific explanations of injury do more harm than good.